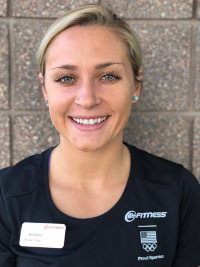 24 Hour Fitness Personal Trainer Bio Michaela V.
I believe that the best way to increase health and happiness is through fitness and nutrition. My passion is to help people reach their individual goals and push them to become the best that they can be each and everyday. Movement truly is a gift to the mind and body! I love the outdoors, trail running and hiking. In my free time I love to surf or snowboard, depending on the season.